This grant will assist Monarch in establishing a Certified Community Behavioral Health Clinic (CCBHC) to focus on mental health and substance use disorder needs in Stanly County, ensuring integration of care with primary care physicians through use of care coordination. The newly implemented CCBHC services are expected to begin in October. Over the next two years Monarch estimates it will serve over 2,000 adults and children with serious mental illness, emotional disturbance, long-term chronic addiction, mild or moderate mental illness and substance use disorders, as well as complex health conditions. Monarch’s newly established CCBHC will be located at the current behavioral health outpatient office at 350 Pee Dee Ave., Albemarle. The CCBHC model is part of the National Excellence in Mental Health and Addiction Treatment Expansion Act. This legislation expands the number of CCBHCs to increase access to community mental health and substance use treatment services while improving Medicaid reimbursement. CCBHC key goals include mental health and addiction treatment access; opioid crisis service expansion; primary care health screenings; expanded behavioral health support for veterans; and collaboration among community care partners. “Monarch is honored to receive this significant grant allowing our dedicated staff to expand mental health and addiction services to the Stanly County community. We appreciate the confidence placed in us by the federal government to continue providing valuable assistance to individuals and families who will benefit from this expansion of services,” said Monarch President and Chief Executive Officer Dr. Peggy Terhune. “Statistics indicate that Monarch serves the most severely impacted communities across North Carolina, many of which are rural and where support is critical, like Stanly County. Recent research suggests that mental health and substance use disorders are likely to worsen in the next few years, so the grant comes at a pivotal time to immediately address those needs,” Terhune noted. According to a June 2018 report from the North Carolina Department of Health and Human Services Division of Public Health, Stanly County has the state’s highest rate for all opioid overdoses that result in emergency room visits. A similar report from the same agency ranks the county 18th in the state for suicide rates. From 2012-2016, the health department recorded 47 such deaths, an average of 11 per year. The Excellence in Mental Health Act initially offered funding to support CCBHC services to a limited number of states, excluding North Carolina. The SAMHSA grant will offer continued support of Monarch’s CCBHC effort with the possibility of an additional award of $1.5 million for the program’s second year, and the project is 100 percent federally funded. Monarch will work in partnership with Cardinal Innovations Healthcare to develop a long-term, sustainable funding model beyond the grant funding. Monarch will work in partnership with Cardinal Innovations Healthcare to develop a long-term, sustainable funding model beyond the grant funding. Celebrating 60 Years. 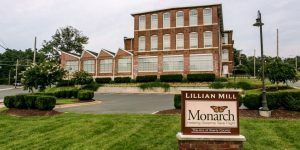 Established in 1958, Monarch provides support statewide to thousands of people with intellectual and developmental disabilities, mental illness and substance use disorders. The organization is nationally accredited by The Joint Commission and The Council on Quality and Leadership (CQL). Monarch operates The Arc of Stanly County, which is a chapter of The Arc of North Carolina and The Arc of the United States. To learn more about how Monarch provides support, please call (866) 272-7826.